Summer 2018 is fast approaching and most children will be on an extended break from school. While every child deserves a break from the rigor of school, summer vacation offers exceptional opportunities for children to learn and develop outside the structure of formal school. CRA has a template for you use, send home, make your own to help support skills during the summer months. Summer is approaching and you may have more time to spend with you child. You may want to take advantage of this time to help your child develop better communication skills. Because these skills are so important for success in school, every child can benefit from their continued development. You can help anytime and anywhere-car trips, grocery shopping, making dinner, at a park. The following suggestions can be used with children at most grade and reading levels-and throughout the year as well as during summer. Listening Is Important. When you listen, your child will be encouraged to talk more. When you listen, you also teach your child to listen-and listening is one of the main ways children learn. Look at your child to show you are listening. Talk With Your Child. Watch a favorite TV show together and then discuss it; ask your child the most important ideas and what he/she liked best in the show. Have a conversation with your child whenever you can-during a meal, on a walk, or doing an errand. If you don’t understand what you child is saying, ask him/her to repeat it or ask a leading question based on what you did understand (“Tell me more about what you did.”). Encourage Reading. Read to your child. Let your child see that you read newspapers, magazines, and books. Keep magazines and books around the house. Go to the library together. Keep a list of the books your child has read. Subscribe to a magazine for your child. Give paperback books as gifts. Enjoy Language. Help your child to be creative with language. Tell stories, play word games, give diaries as gifts. Write letters to friends and relatives on your vacation. As the speech-language pathologist at your child’s school, I work with children who have problems with speech, language, and related disorders. 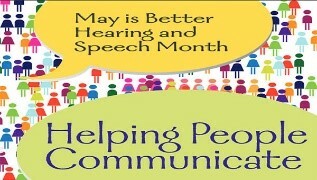 If you have any concerns regarding the way your child speaks or listens, please call me in the fall. Not too long ago, on a trip to Colorado, I had the opportunity to go hiking with my children up a mountain in Chautauqua Park in Boulder. At the foot of one of the many trails, I looked up at the mountain, and became very overwhelmed. How was this Florida girl going to make it up and back down that mountain in this thin air? My adult children, one with a baby in a pack, bounded up the trail. I told them to go on ahead. This looked too hard and I didn’t think I could make it. I would stay down. Off they went without me. After I while, I thought that maybe I could go a little way up. So, I picked out a tree a short way up the trail and made that my goal. I reached the tree, gasping for air, with all of my muscles screaming at me. I stopped. I took some deep breaths, and then I looked back at where I had come from. It was much farther than I thought and the view was beautiful. Maybe I could go a little farther. So, I picked a big rock up ahead and huffed and puffed my way up the trail, stopping at each appointed goal, catching my breath and taking in the view, relishing how far I had come. I kept going this way until I had climbed up to the top of the mountain and back down again. My children were waiting for me at the bottom, cheering my success. Our jobs as therapists in the schools can be a lot like this. All the things that we need to do can look like insurmountable mountains to climb. I’ve been talking to quite a few people about documentation and data collection. That seems to be a really big mountain for many of us. So, how do we climb Mount Data? Climb the mountain one small step at a time. Right now, if you are having trouble taking any data at all, set a small goal and work to reach it. Maybe the goal is to take data on just your articulation students. Maybe the goal is to take data on a certain number of your groups, or maybe the first small goal is to figure out, and organize how you will actually document the skills being taught. If you are so paralyzed by the size of the task, find ways to break it down into small steps and move forward. There are different trails up the mountain. Data collection is not a one-fits-all type of activity. How and when you document progress will depend on the skill being taught, and the ability of the student to participate in monitoring his or her own progress. We are all familiar with taking frequency counts where you can compute the percentage of correct responses. With some skills, you may need to take speech or language samples, analysis of a story retells, pre-tests/post-tests, observations, work samples, or descriptions of student responses. One really effective way to document progress is by using learning scales (rubrics) to break down the smalls steps needed to achieve the overall goal, and to chart the progress towards the goal. It is basically a continuum of teaching behavior leading to student expertise. Learning scales can be used to track student progress, and used by the student to track his/her own progress. This data can be descriptive in nature or could be set up to be graphable data. Learning scales are very effective informal assessment tools used during the learning process in order to modify teaching and learning activities to improve student achievement. In fact, research has shown that tracking student progress using learning scales results in a 34% higher gain than when not using this strategy. I will be writing more about how to use learning scales to document student data at another time, so stay tuned for that. As you move up the mountain, pick the trail that will get you to the top. Stop and evaluate your progress up the mountain. It is important to remember the purpose of taking data. So often, we become so overwhelmed by all the tasks we need to do that we simply complete the activity, and then file it a way. The key to data is using it to drive your therapeutic instruction. It is critical to elicit evidence of the student’s understanding, and then give accurate and specific feedback to the student. What does your data tell you? Is the student making progress or not making progress? Do you need to add in more supports? Do you need to change the strategies you are using to teach the skill? If the student isn’t “getting it,” we need to dig deeper and analyze why they may not be making progress on the skill. Data gives you information to provide guidance to the students, and to help you understand when and if you need to alter or differentiate your therapeutic instruction to ensure all your students make progress. Stop, take a breath, and take of picture of what the data looks like by analyzing it and using it to guide you as you continue up the mountain. You have conquered that mountain. You have developed ways to efficiently and effectively document student progress. You have provided feedback and the students are now documenting and taking pride in their own progress. You have differentiated and altered your therapy on an ongoing basis to meet the needs of your students, and, as a result, students are meeting goals and being successful in the classroom. Before you try to conquer that next mountain in front of you, be sure to celebrate! Take a look at your journey over the mountain. Stop and enjoy the view! Make sure you have a support team waiting at the foot of the mountain to cheer you on, or to make the climb with you! The Heart of a Therapist! but we must have the heart needed to genuinely care for our students to be the best we can be! We will never make it up those mountains without the heart to do the work! At CRA Therapy, our therapists have heart!! 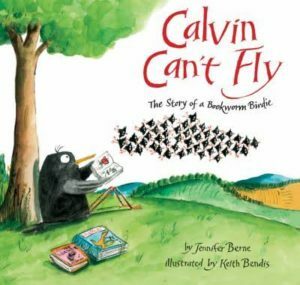 As you start back to school after Hurricane Irma, a book you may want to consider using in your therapy is Calvin Can’t Fly: The Story of a Bookworm Birdie by Jennifer Berne. Calvin is what you would call a very unusual starling. While his siblings and cousins are learning to fly, Calvin is much more interested in books about pirates, dinosaurs, and other interesting topics. While the other starlings soared through the air, Calvin dreamed of becoming a great writer. The other starlings called him names, and poor Calvin realizes that when it is time to migrate, he can’t fly. As the other starlings carry him in the air, Calvin notices on their way south, how the winds are blowing hard, how the trees are bending, and how the air starts to smell strange. Calvin knows it is a hurricane!! Because Calvin read about hurricanes, only he can save the day for all the starlings!! Calvin is a great story about perseverance, friendship, and kindness. Using this book, you can focus on the Narrative Macrostructure (Character, setting, kick-off/initiating event, feeling, plan, planned attempts, direct consequence, and resolution), Narrative Microstructure (mental state verbs, cohesive ties, etc.) and expository text structures (descriptive, compare/contrast, list, sequence, cause/effect, problem/solution, persuade/convince/argument). You could focus on key vocabulary such as starling, eaves, swoop, hover, soar, flutter, migration, and formation. The list is really endless with the language skills that can be targeted using this book. What is really ideal about using this book now, is that all of your students now have prior knowledge about hurricanes. I’m sure they will want to share their experiences, and compare their experience with Calvin’s. You can use the Think Aloud Strategy to help your students learn to verbally describe their prior knowledge about hurricanes with the content in the book. It is a great opportunity to start an academic notebook with your students so they can record and represent their knowledge using pictures, graphic organizers, and text. I have included some lesson plans and activities I have found using Calvin Can’t Fly. Be sure to look at the information from MindWing using this book to work on both narrative skills, and expository text structures. Enjoy! I would love some feedback on what you focused on with your students, and how your sessions went. Follow the links below for resources that include different lesson plans and worksheets for your students. FROM THE FLAP: Calvin was born under the eaves of an old barn with his three brothers, four sisters, and sixty-seven thousand four hundred and thirty-two cousins. Calvin may be one of many, but he’s certainly different from the rest. While the other little starlings learn to swoop and hover and fly figure eights, Calvin buries his beak in books. In the library his mind soars, taking him places his wings never could. KATE’S TAKE: A fun fall read that celebrates books and being one’s self. Give each student a piece of paper with the sentence starter: In the fall I like to_____________. Ask each student to finish the sentence and draw a picture to go with it. Then, have students illustrate their sentences. Put each sheet in a three ring binder and make a class book to send home with the students. Discuss the possible reasons why starlings might fly in formations. One reason is to protect themselves from possible predators such as hawks. Take students outside to play a game of predator vs. prey tag, hawks vs. the starlings. As the starlings try to cross from one line to the other, they’ll learn the benefit of flying in a group vs. flying solo. This is a fun song to sing in a round, too. Starlings form all sorts of amazing formations while flying through the sky. Ask each student to outline their favorite shape on a large piece of sky blue construction paper. Make bird stamps out of a potato or apple and have kids stamp multiple bird shapes inside their outline. Divide a 8×11 sheet of paper into 6 parts. Trace a flying bird shape into each section. Write one of the following six words on each bird: Starlings fly south for the winter. Make enough copies for the class. Ask each student to cut out the six birds and glue them in order onto a long strip of paper made from a 11×18 sheet of construction paper cut in half length wise and stapled together. Ask students to glue the birds down in order on their paper.